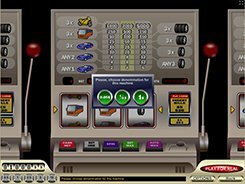 Lemons Slot is a classic-style game that features three reels and a set of traditional symbols. Once the game has loaded, you are asked to choose a coin denomination that can then be changed if so desired. There are five coin value options to pick from: $0.1, $0.5, $1, $2, and $5. 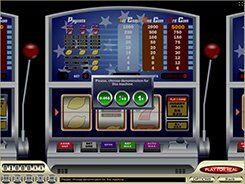 Lemon Slots has a single payline that accepts one, two or three coins, so your total bet may be as low as $0.1 and as high as $15 per spin. On the reels you may come across lemons, BAR variants (a single, double or triple BAR), red 7s and purple 7s. 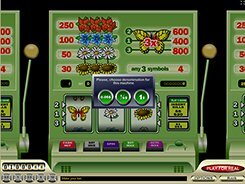 The game displays some tips on how to place a bet, but you may turn them off at any time. 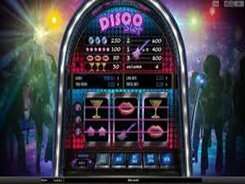 The top prize worth 5000 coins is awarded for hitting three purple Sevens across the payline, and to win the prize you need to place a three-coin bet. Should you have placed three 5-dollar coins and hit the mentioned combination, you win a stunning $25,000. 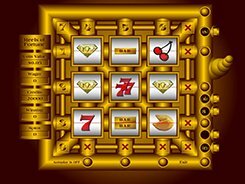 There are no special symbols or bonus features in Lemon Slots, but it is its simplicity that makes the game ideal for beginners and classic slot fans. PLAY FOR REAL MONEY!